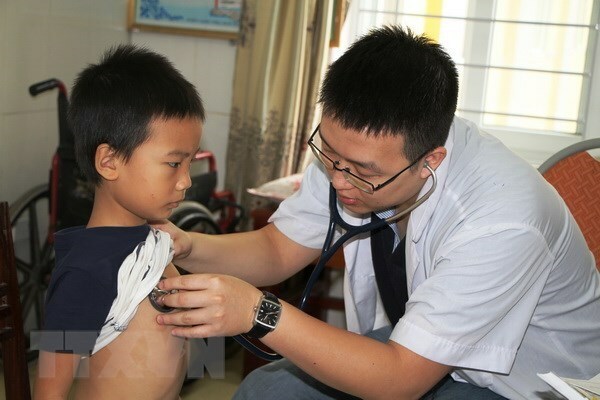 Nam Dinh (VNA) – Children under 16 years of age in the northern province of Nam Dinh will get free heart checks on April 6-7 within the framework of an annual programme jointly implemented by the Nam Dinh Children’s Hospital, the Central Children’s Hospital, and the military communications group Viettel. Organisers further said all the children suspected of having congenital heart diseases will be checked and consulted by specialists. Those poor found having the diseases will get totally free medical treatment and operation. Doctors said from one to two children among about 100 being checked will be detected to have heart diseases. The checks have helped thousands of children to have early treatment.